Did you apply for a National Identity Card and you were left clueless, wondering how long it would take for your permanent ID card to be ready? 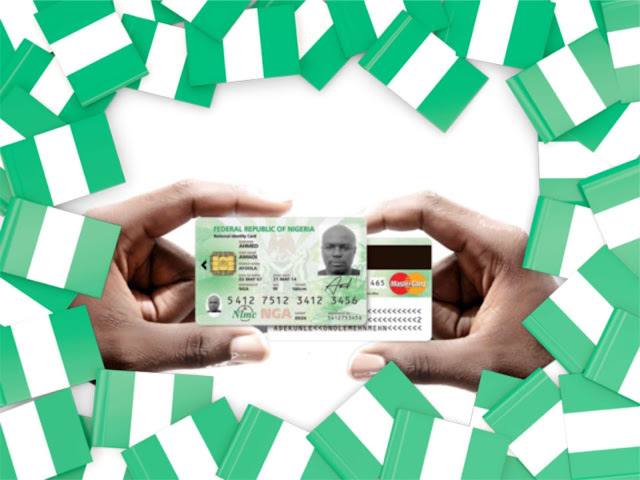 Here is another impressive move by the Nigerian government not just to maintain the identity of Nigerians and prevent illegal immigrations into the country but also to keep you informed on the process and status of your permanent National ID card. 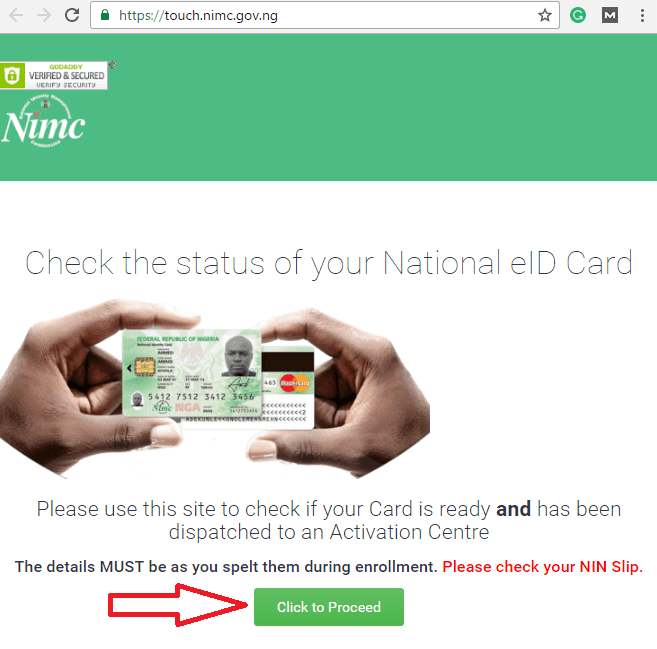 The National Identity Management Commission, NIMC being responsible for maintaining the identity of Nigerians has made available an E-portal where everyone who enrolled for the National Identity card can check the status of their ID Cards. How do I check if my National ID Card is ready for collection? So you have done the National ID Card enrollment and you were told that it would take 4 years for your permanent card to be ready. Well, that's the same thing they told me when I first did my enrollment. But I don't think that's completely true, it might take a while but not definitely 4 years. ...4 years is just an exaggeration. This process is simple as you can do it yourself, so do not be deceived! 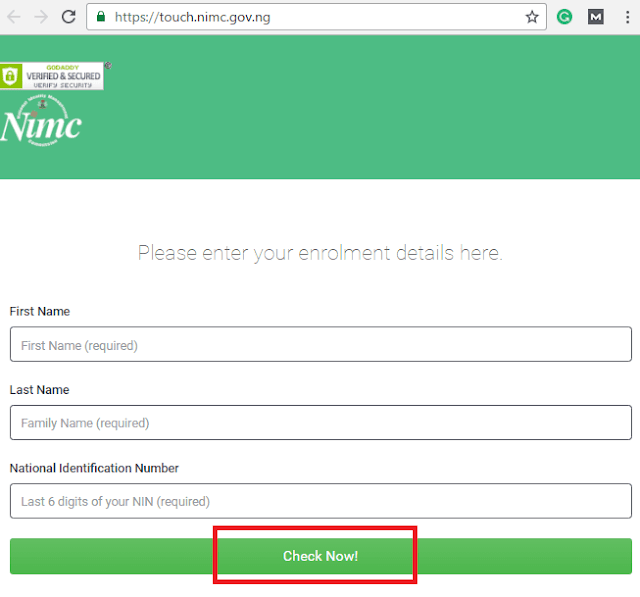 There is just one portal made available by NIMC to check your ID Card status. Do not fall victim of fraudsters who will insist on collecting cash from you just to check the status of your National ID. How much will it cost? To be sincere, checking the status of your National ID Card is FREE! All you need is an internet connection. A new page should open, on that page, you will see a form requesting you input your First Name - Last Name and National Identification Number. Note: This step is very important, you are not asked to put the new name you got after baptism yesterday but rather, you need to input the exact information you gave when filling the NIMC registration form. As for the National Identification Number, check the temporary slip you've been given, it's written on it. If you have an issue checking the status of your permanent National ID Card or enrolling for a National ID, kindly ask your question through the comment box below. I'll be there to help you through.